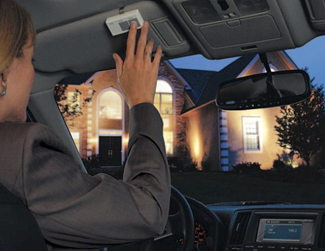 Turn lights on and off from the safety of your car with just the touch of a button — no more fumbling for the light switch as you try to unlock the door. Dimmers installed by the stairs and in hallways can illuminate a path of light in key areas of your house, making it easier to navigate from one room to the other during the night. Add visual alerts to your security system: entry lights flash to draw the attention of neighbors or rescue vehicles, indoor lights turn on and lock to full bright when system is activated. Without getting up, select rooms individually or control the entire system at the touch of one button. 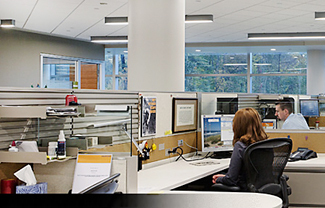 Create a safe, welcoming atmosphere in your commercial space no matter what time of day. The right light controls help ensure employee safety and security. Scheduling with timeclock controls can turn lights on and off, set lighting levels for different times of day, and change the lighting profile for an after-hours mode. Occupancy/vacancy sensors can dim the lights when space is unoccupied, to alleviate employee concerns while saving energy. Integrate emergency lighting into the overall system to provide the right light and simplify the lighting plan.